Vegan diabetic scones make a great breakfast, snack, or dessert for people who are trying to regulate blood sugar and want to eliminate animal products from their diets. Start with the below recipes, ideas, and tips for fantastic vegan scones suitable for diabetics. CookEatShare - This site offers cooking and baking tips for amateur chefs and foodies. Search for vegan and diabetic recipes, and keep in mind you can always choose to alter recipes by including less sugar and egg substitutes. Food.com - A popular cooking website, Food.com offers hundreds of recipes for every meal and type of cooking. Diabetic Living - Diabetic Living is a resource for diabetics in general, but especially for diabetic cooks looking to create great meals and snacks. Note that many of its recipes are not vegan and need to be adapted to remove cheese, eggs, or other dairy products. The below scone recipe is suitable for both vegan and diabetic living. 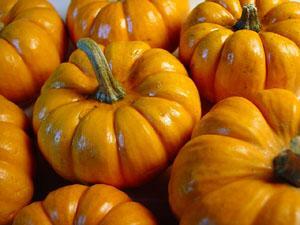 The pumpkin in the recipe replaces the egg that might appear in a typical scone. This recipe makes approximately 12 scones. Follow the below steps to make a batch of tasty, vegan diabetic scones. Add the vegan margarine or butter, and mix well. Finally, add the pumpkin. Combine the ingredients thoroughly. Knead the dough, and lay out on a flat, floured surface. Using a knife or pizza cutter, cut equal-sized triangular pieces from the dough. Bake the scones for 12 to 15 minutes or until golden brown. Add dried fruits. Cranberries, apricots, peaches, and raisins all make excellent additions to scones. Use faux cheeses. Cheese scones are a true delicacy, but vegans do not consume traditional cheese products. Thankfully, there are wonderful faux-cheese products made from soy, rice milk, and nuts. Consider adding some of those products to your favorite scone recipe. Create savory scones. Baked goods don't have to be sweet. Try adding Italian seasoning, garlic, or red peppers to give scones a real kick. Go mini. Instead of making a few large scones, cut your scone dough into many small triangles. Baking smaller treats will also cut calories and allow you to serve many guests or friends. There are many recipes and resources like those above to suit your unique diet and lifestyle. For more information about how to adapt recipes to suit your needs, consider speaking to a registered dietician or nutritionist.